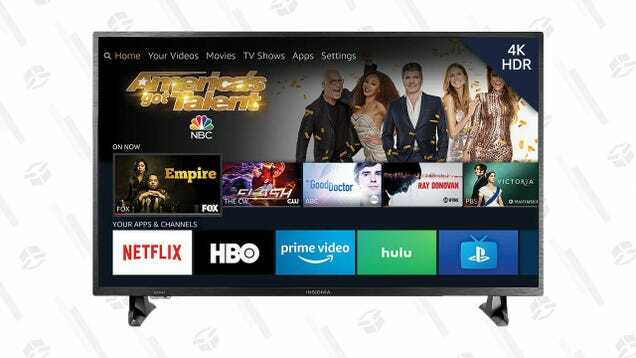 Look, it ain’t fancy, but this 43" 4K Insignia TV is worth every penny at $200. It has Fire TV smarts and Alexa voice-control built-in. And it’ll likely perform as well as any budget TV, so its perfect for a guest or child’s bedroom. This current price is about $50 less than usual, so it’s as good a time as any.